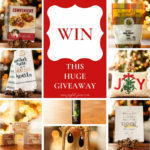 This is a HUGE giveaway…I’m giving away 8 of my favorite things here at Joyful Jane to one blessed winner and my friends at the Blogger Test Kitchen (in which I am a Blogger) are each also giving away their favorite things, so be sure to ENTER and visit the sites and you could come away with some seriously awesome loot! Before I delve into what is in MY giveaway, you must know that 6 OTHER giveaways from my blogging friends that are all happening right now. To see each gift up close, and to enter to win, visit each site to fill out the entry forms. It’s possible you could win more than ONE! When you visit each blog take a look around. This is a great list of amazing bloggers and I know you’ll love each one of them. Not only is La La (short for LaDonna Gatlin) my sister-in-law, but she is an incredibly gifted and creative jewelry artist! 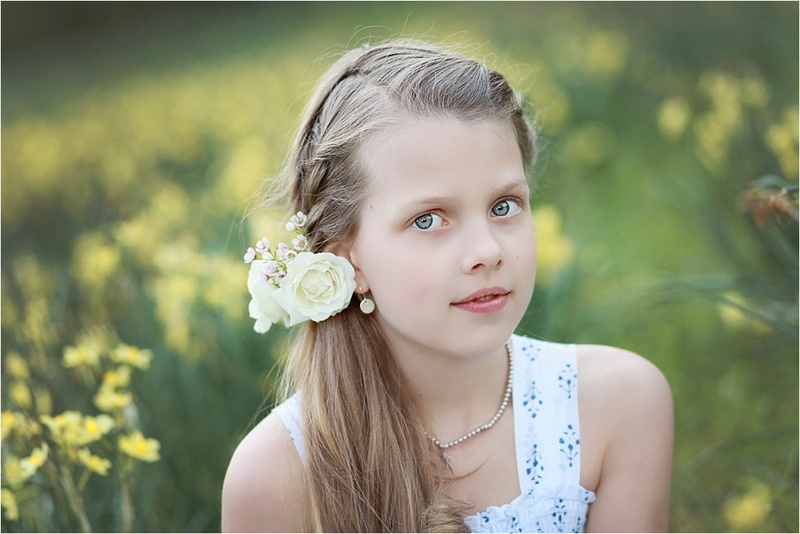 In the picture above, my daughter is wearing her own pair of the monogram earrings that that we are giving away from La La Designs! I have my own pair that I wear all the time and I have given many pairs as gifts to friends because I love them so much! These earrings are hand-stamped with the monogram of your choice. They are a delicate size and just perfect to wear everyday or to give away to a friend! La La doesn’t normally make these earrings in her regular collections, however, she is offering to make them special order for the visitors of Joyful Jane! You can order your own pair and see more of her amazing artistry on her website La La Designs and on her Facebook page Jewelry by La La Facebook. Below is a little bio from LaDonna about her and her business. LaLa Designs is a one woman operation. I am a Believer, a wife, a daughter, a sister, an aunt, an Aggie (Texas A&M ’00), former Assistant Director of the Brazos Valley Jewelry Artist Guild, and a jewelry artist. LaLa Designs was founded in 2005 after a trip to a local store. While browsing the books there, I picked one up that promised to help you craft gifts for friends and family. One project was creating a set of jewelry from sterling silver wire. After skimming the instructions, I decided creating jewelry might be fun. I spent the next few evenings searching the web finding all the information I could on making wire jewelry. I managed to find a great site by a jewelry artist named Connie Fox. It was the impetus I needed to take the plunge. I ordered some copper wire with which to practice and some sterling silver wire with which to make “real” pieces and haven’t looked back sense. My skills have evolved over time, as have the materials with which I work. I use a variety of media with which to create my pieces: sterling silver, brass, copper, sterling silver clad brass (double and single), found objects, and everyday items from the hardware store. Whatever the material, I strive to create the best jewelry possible and my workmanship is guaranteed. Each piece is crafted by my own two hands, not a machine. I describe my style as ECLECTIC because that’s my personality. I’m inspired by the bohemian look, nature, vintage items, Native American craftsmanship, and a touch of steampunk. Check out more of my custom Calligraphy for Wedding Invitations, Stationery, Birth Announcements and Monograms in my Calligraphy Portfolio. While on a business trip, my husband, Kyle discovered the tastiest freshly roasted coffees at Big State Coffee Roastery in La Grange, Texas. Rhonda and John Hill are the founders of the Roastery and Coffee Shop, which they opened in 2012. They began roasting coffee quite by happenstance in 2008, when Rhonda picked up a coffee roasting book from a garage sale one day. She gave the book to her husband, John and he began to try out coffee roasting after reading the book. The rest is history, as they say… The business has evolved to include custom roasting, healthy breakfast and lunch selections, their coffees, freshly brewed and in espresso drinks. 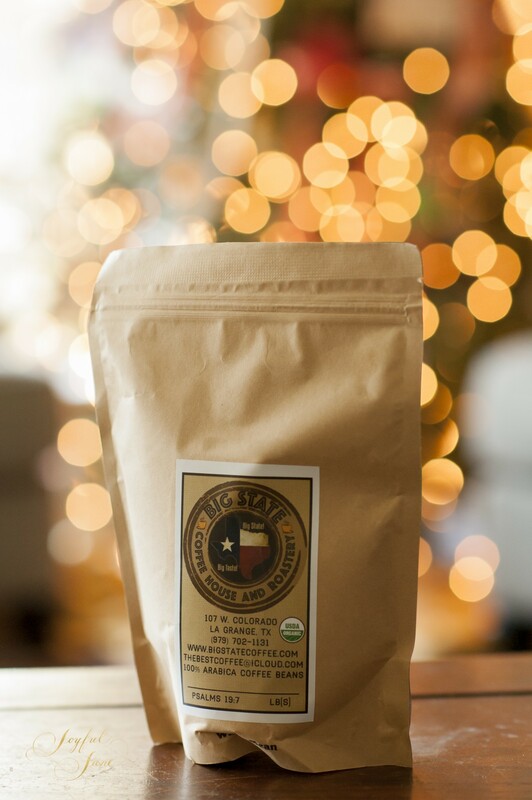 Head on over to their Facebook page to order some coffee or, if you are ever in the area near La Grange, Texas stop by Big State Coffee Roastery! Petunia Bottoms is a darling local shop in my town that specializes in monogrammed items and special outfits for children. This weekender bag is fantastic! It has zippers that expand the bag to a larger size, plus a shoulder strap and roomy interior. Petunia Bottoms will monogram this great bag for the lucky winner! You can check out out their store on their Petunia Bottoms Facebook Page. This To Your Health Brand of Sprouted White Whole Wheat Flour is one of my favorite products to make amazingly soft and fluffy sprouted bread and rolls! You won’t believe how delicious this is and how tall and fluffy this flour makes baked-goods. Check out my SHORTCUT and EASY method for bread-baking and read more about why I use and love sprouted flour and the health benefits of sprouted flour over traditional non-sprouted flours here on these posts about my THM Easy Sprouted Whole Grain and Honey Bread and Easy Fluffy Sprouted Wheat Rolls. You can buy the sprouted flour HERE. My talented friend Nancy painted the adorable blue bird that I then took the painting and had it printed on custom-made linen note cards. Aren’t they lovely!?! 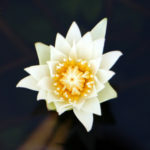 If you wish to buy a set of the notecards you will find them in the Joyful Jane on-line store HERE! This cute sign would be great hung on a wall or displayed on a bookshelf. You can paint it or leave it natural and it would be super cute with a ribbon tied to it from which it could hang. I just love these two towels! 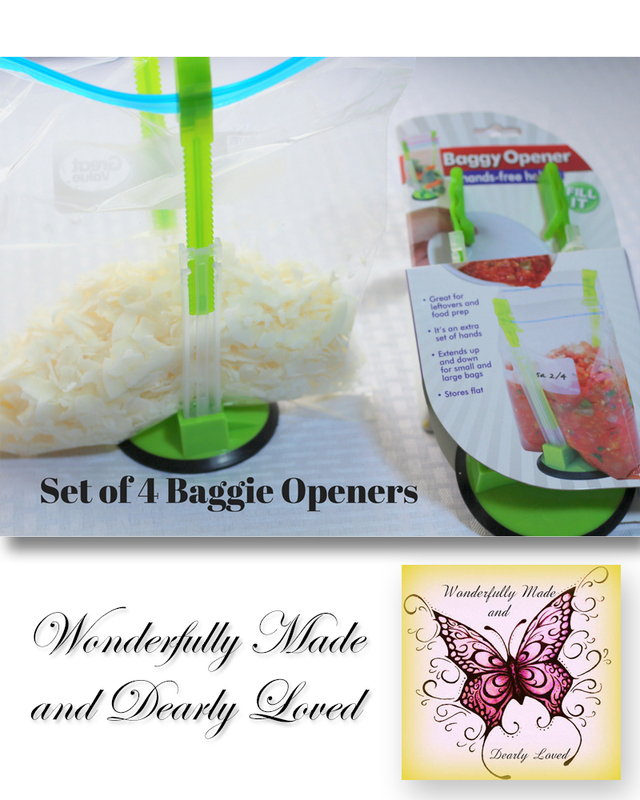 They would be a great addition to liven up your kitchen any time of year! 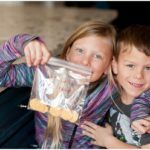 Judy from Wonderfully Made and Dearly Loved says, “I started blogging because I have baked with alternative sweeteners and ingredients most of my life. I wish I had found THM long before I did because my mom would have loved it (she was a type 1 diabetic). 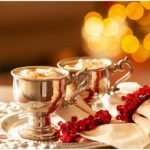 I find inspiration in knowing that the recipes and articles that I’m sharing may help someone to stay on plan or find their “sweet spot” with on-plan sweeteners. I’ve felt so incredibly blessed since I began this journey.” Click here to enter Judy’s giveaway! Twenty-one-year-old blogger Briana Thomas has a passion for quick, easy, and healthy versions of her family’s favorite recipes…and ice cream! Between creating and blogging recipes, taking pictures, riding horses, singing, and publishing a cookbook, she stays busy and enjoys writing about her exploits and dreaming up new projects. 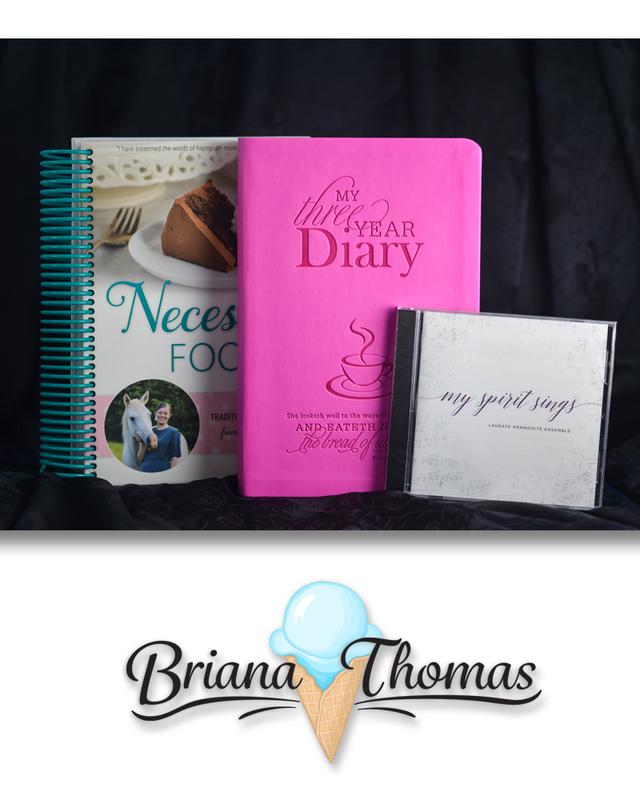 Click here to enter Briana’s giveaway! Sarah from Mrs. Criddle’s Kitchen is a mama of 7 – married to her cowboy! Cooking for her family is one of her passions, and her blog is where she gets to share her creations. Sarah’s recipes are all Trim Healthy Mama friendly! 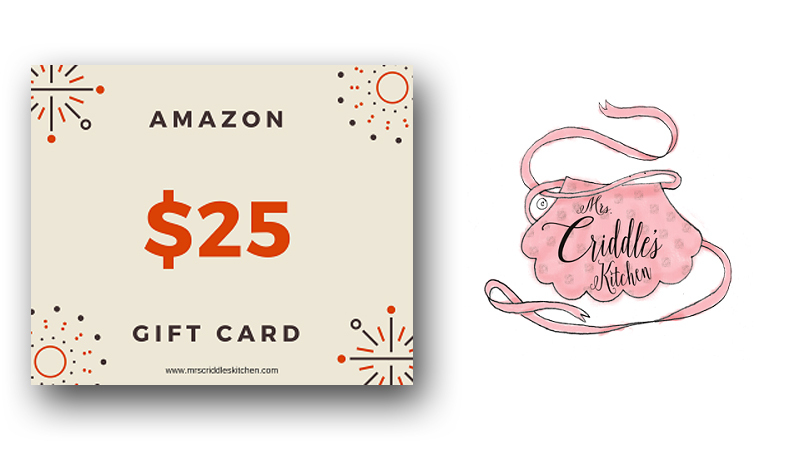 Click here to enter Sarah’s giveaway (she’s giving away the gift card pictured plus some other goodies)! Jennifer at A Home With Purpose started blogging well over a decade ago! She first started as a way to keep track of family life. It grew as she shared her walk with the Lord, crafty ideas, and then recipes! Almost four years ago, Jennifer started the Trim Healthy Mama plan. 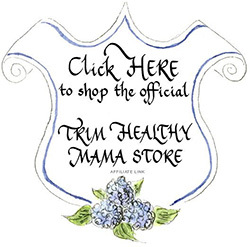 She’s enjoyed sharing many recipes, tips, and giveaways for her THM buddies. She also continues to share her faith and walk with the Lord as it pertains to motherhood, homeschooling, being a wife, and even in her battle with health and her weight. Click here to enter Jennifer’s giveaway! 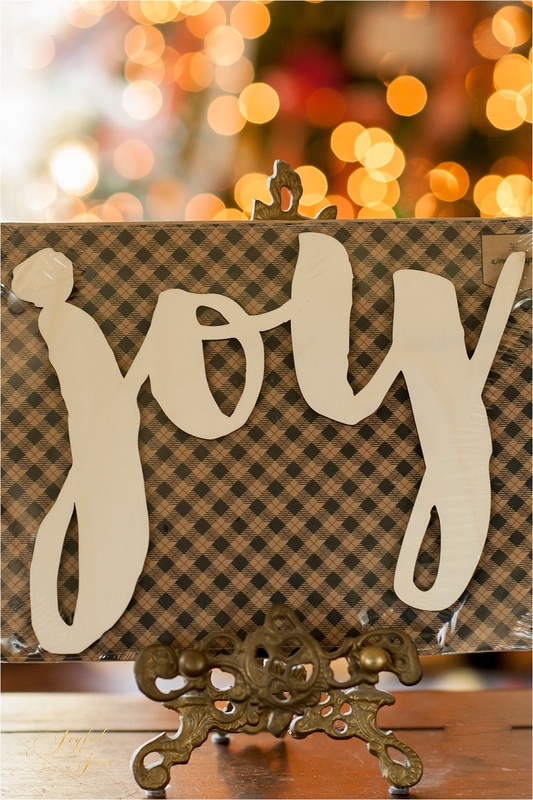 Come meet Kristen at Joyful Jane and find a wide array of encouragement and lovely things! 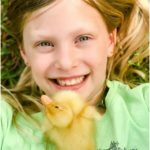 Kristen is a homeschooling mama of 8 children and she focuses on finding JOY along the way of life. 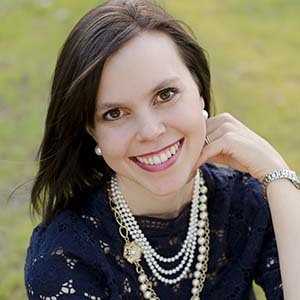 She loves to share encouragement in the areas of being a wife and mother, eating and creating healthy food for our families, homeschooling and family life tips, calligraphy scriptures and personalized items, inspirational photography, organizing tips, home décor and lovely things! Hope on over to say “Hi” and enter our huge Christmas giveaway! While you are there, grab some of our FREE resources, including the gift of our hand-painted Calligraphy Scripture Print! Click here to enter Kristen’s giveaway! Robin from MamaShire.com provides allergy-friendly recipes that are gluten-free, dairy-free, sugar-free and are compatible with the Trim Healthy Mama lifestyle. You’ll also find a sprinkling of embroidery tutorials, as she and her daughters, Emily Rose and Breezy, created Clementine Pattern Co., which features beautiful hand embroidery patterns and kits. Click here to enter Robin’s giveaway! Time to enter the giveaway! 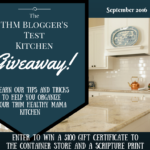 Be Sure to visit the THM Blogger Test Kitchen and Joyful Jane on Facebook for extra chances to win! Giveaway is open through December 20th. Winner will be announced for each giveaway on December 21st. Once the winner is contacted winner must respond within 48 hours or another winner will be chosen. Giveaway is open to U. S. Residents only. Love the giveaway!! I am a sucker for a bold black and white print: THIS BAG!!!!! Oh my goodness, thanks so much for the giveaway! What wonderful items you’re sharing!! 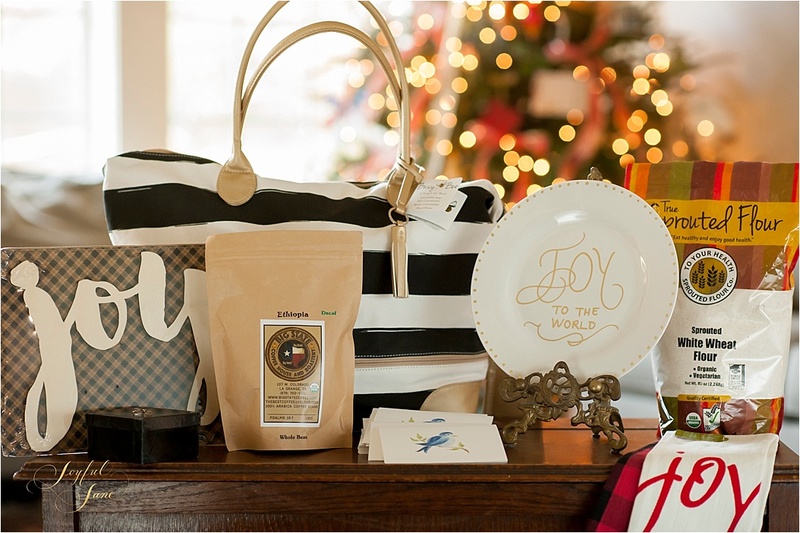 My favorite would be the Petunia Bottoms bag, the wooden joy sign and the coffee! Thanks again! The white sprouted wheat flour. I was checking out your recipe for sprouted bread. Sounds lovely!! Ty for sharing! the sprouted flour – thanks for the opportunity! So many neat items – but I love that bag… and, coffee… just, coffee! I’m most excited about the weekender bag. It is beautiful and large enough to carry all of the things I “think” I “have” to have with me. LOL I’m also excited about the sprouted flour. I have the hardest time finding supplies. I think everything is really cute, but especially the Petunia Bottoms weekend bag! I’d love the earrings and the joy plaque, well really, I love it all! I would love either the bag or the flour thanks! 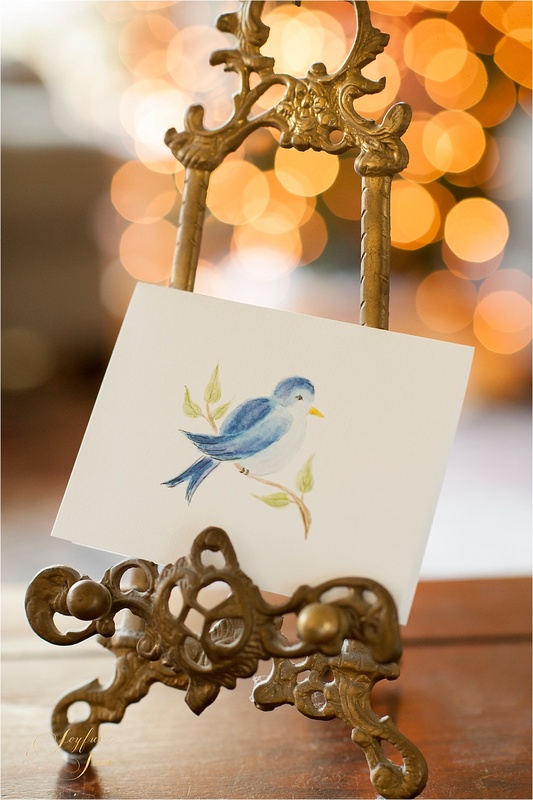 Love the beautiful Bluebird note cards. What talent. 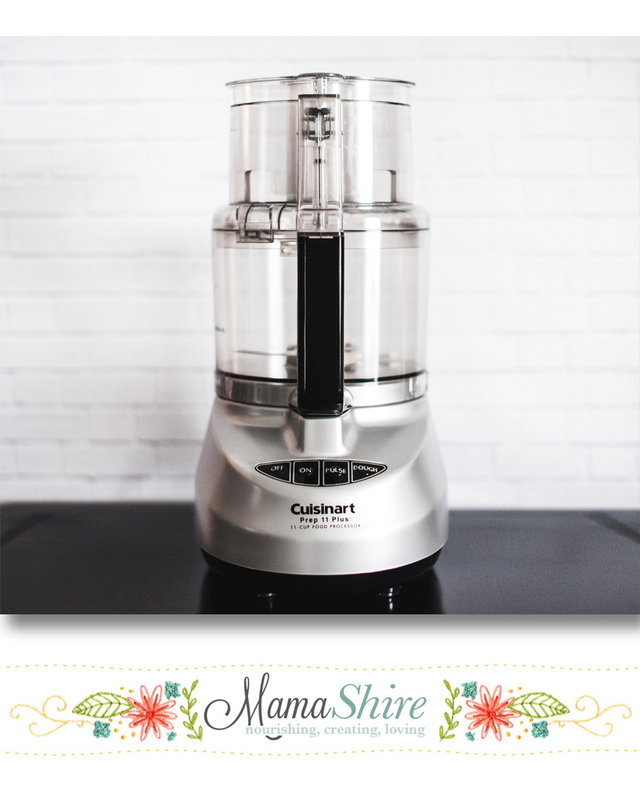 I’m excited about all the items, but since I am in need of a new food processor, the Cruisinart is my favorite. My favorite Christmas tradition is eating dinner w my family and sharing memories! so hard to pick just one! I just love the Christmas season! Ours would be family time and baking. Remembering our Saviour. Thank you for giveaway. I would truly enjoy the sprouted flour and coffee. Great bag too. My favorite Christmas tradition of watching Christmas movies snuggled under a warm blanket with the family AND going to our local park and seeing the hundreds of Christmas lights! Thank you so so so much for thinking of all of us mamas and doing this give away for us! Merry CHRISTmas! Oh no, my comment disappeared. My favorite Christmas tradition is watching Christmas movies while snuggled under a warm blanket with my family AND visiting our local park to see the hundreds of Christmas lights! Thank you so so so much for thinking of all of us mamas and doing this give away for us! Merry CHRISTmas! What a wonderful giveaway! Would love to have❤️ Thanks! I would love the weekender bag. Hard one because all the items are beautiful. I think the Joy plate, weekender bag and the sprouted flour are all tops. I really like the weekender bag. The bag and wooden sign are my favorites! They all are great prizes ~ can’t pick just one! I’m loving so many of the items you are giving away! The weekender bag, the earrings, the plate, the towels. All so so cute! Thank you! Any of the ‘Joy’ items because that’s my daughter’s name. But the bag is super awesome too! I love the plate! and the coffee would be great to try. 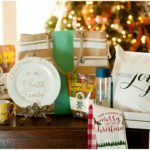 I’m eager to try sprouted flour, and really like the “Joy” decor items. How can I decide? Awesome giveaway items! I love the bag, the plate, the towels,and the earrings! Thanks for taking the time to collect things and organize your giveaway! I would love to win the weekender bag! Thank you! I’m excited about the Joy plate and the bag. The bag is my favorite, followed by the joy wall hanging. They are all awesome but the bag is my favorite! I’ve made my own bread for years, but with the restrictions of THM and lack of counter space I can’t afford trial and error for making my own right now, so I have to settle for store bought (which just isn’t as good as what I’m used to!) so I am pretty excited about the sprouted flour! I’ve never actually won anything before, but I’d love the earrings! The purse or the bird picture. I love the wooden sign! The bag or the bird picture! The flour looks interesting, I have never made my own bread and that might give me a push. Thanks. A hard choice between the bag and the flour, and so many nice items! The bag would be #1. Thank you for doing this fun giveaway! 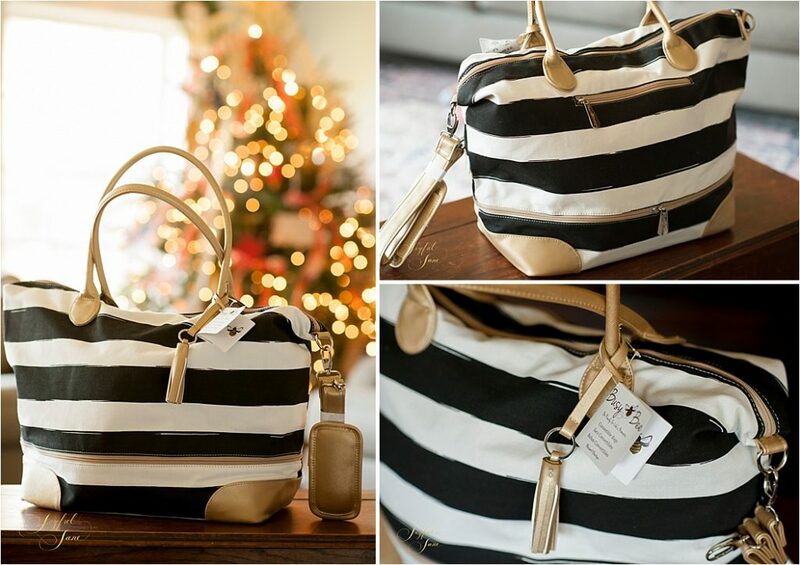 My favorite is defiantitly the weekender bag so classy! I love that bag! And the flour would be a blessing! I’m excited about the flour, coffe, towels…it all looks neat. I would love to make sprouted bread! I like all but that weekender bag has caught my eye! The weekender bash and the sprouted flour! I love the bag. It is beautiful but it is hard to pick just one item. They are all great. I really like the bag but it is hard to pick just one item. Would love to try sprouted flour! Any would be a welcome blessing! In this giveaway it’s hard to pick a favorite, but I ADORE handmade items. So, your lovely bundle would have to be at the top of the list for me. I would love to win the weekender or sprouted flour! Love the bag, and always coffee! such wonderful personalized gifts truly from your hands! I am excited to try the sprouted flour and the organic coffee. The coffee (I’m a native Texan!) and that awesome bag! My family is trying to switch to sprouted bread, so the flour for sure. I’m new to your blog, but I like what I see! Thanks for being a part of this group of thm bloggers! I really love the weekender bag from Petunia Bottoms and would enjoy using the hand painted linen notecards, I love sending out one of a kind cards to family and friends. I especially like the sprouted grain flour (hard to find locally) and the hand painted Joy plate. So cute! Earrings or Bag are the top two that caught my eye. everything is great! I would especially love the coffee, sprouted wheat, lilys chocolate, thm stevia, or cuisenart. Your giveaway is sooo awesome! I love all of it! 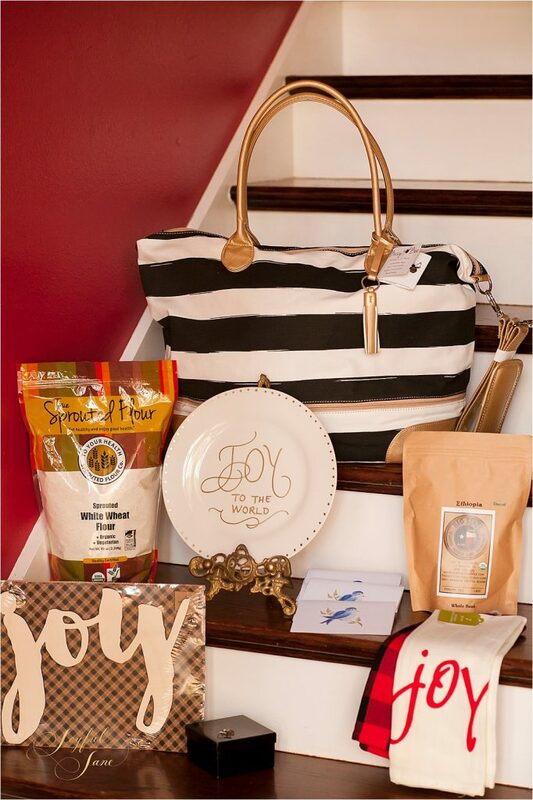 I would be super excited especially about the sprouted flour, the weekend bag and the earrings! I love all of the items in the giveaway, bit the overnight bag is especially cute! Wow! What an amazing prize package! Everything is so nice. Oh definitely the sprouted flour! I love to make breads, it is the one thing I miss the most! I love the strip bag and the Joy plate. Thank you for such a wonderful giveaway offer! I must say my favorite is the plate and towels with the reminder to find joy in all things. I am most excited about the weekender bag. It is beautiful! Everything is great! But I think I really like the earrings best. They are beautiful! SO excited! Can’t decide what I am more excited about in this wonderful package! the flour 🙂 thanks for the great giveaway! I love the bag, but i am most excited about the sprouted flour. Great giveaway! Thank you for doing this! I would love the bag……however all the other things are delightful as well! Honestly? The flour! I’m still trying to get s good soft loaf here at altitude! What a fun giveaway! I would love a pair of the monogrammed earrings! I love it all, but the earrings and bag are definitely swoon worthy! So excited about this giveaway! Thank you so much for offering it, Kristen! Awesome stuff! What a nice giveaway. I particularly like the bag and the sprouted flour. I would love the coffee, bag, Lly’s Chocolate, Sprouted flour, coffee mug warmer, frother, I would love it all. What an awesome giveaway you are having! I love that Joy sign, but that weekender bag is also pretty great! Your giveaway is the BOMB! Love all your stuff! It brings JOY!!! What fun! I signed up for all the giveaways!!! The bag is amazing but everything in it is so cool! Love the giveaway. 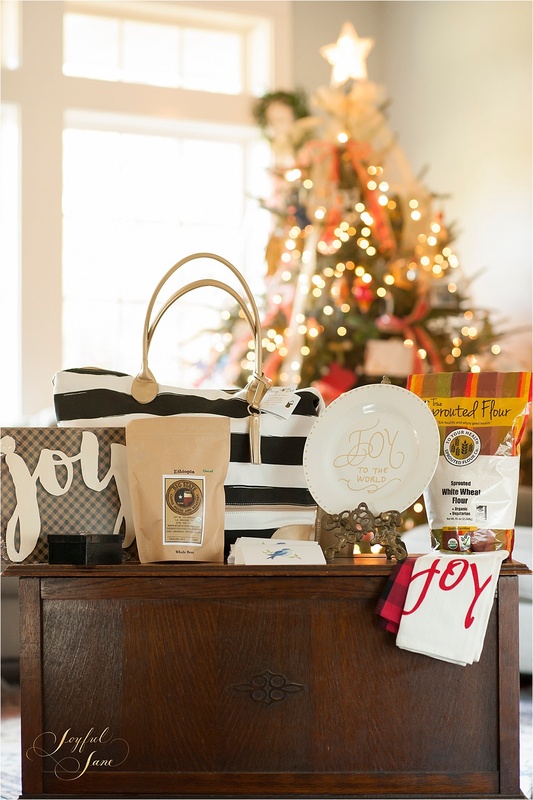 Most excited about the Joy plate and the bag! 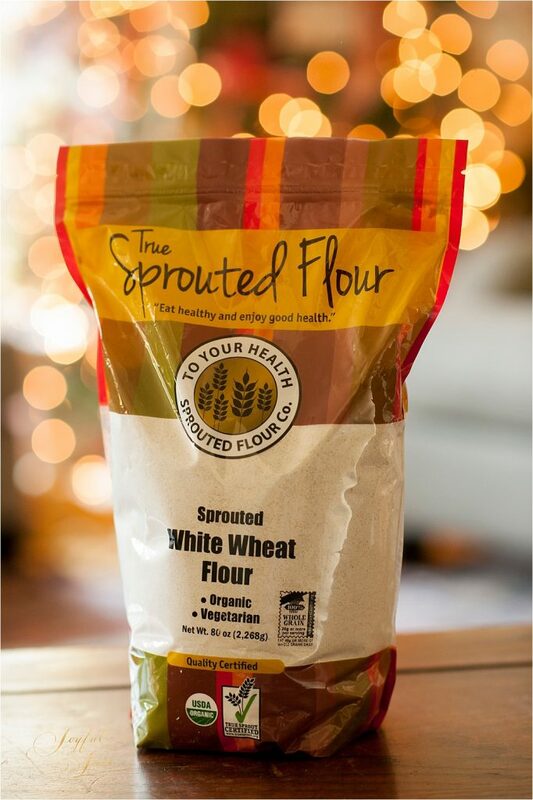 To Your Health Brand of Sprouted White Whole Wheat Flour is my absolute favorite sprouted flour. What a great addition to your giveaway. The bluebird drawing is so precious. That is my favorite. I love the weekender bag and the flour! Every single item is quite enticing and it would thrill me to win any of them! 🙂 Merry Christmas! I would be thrilled with any of them! 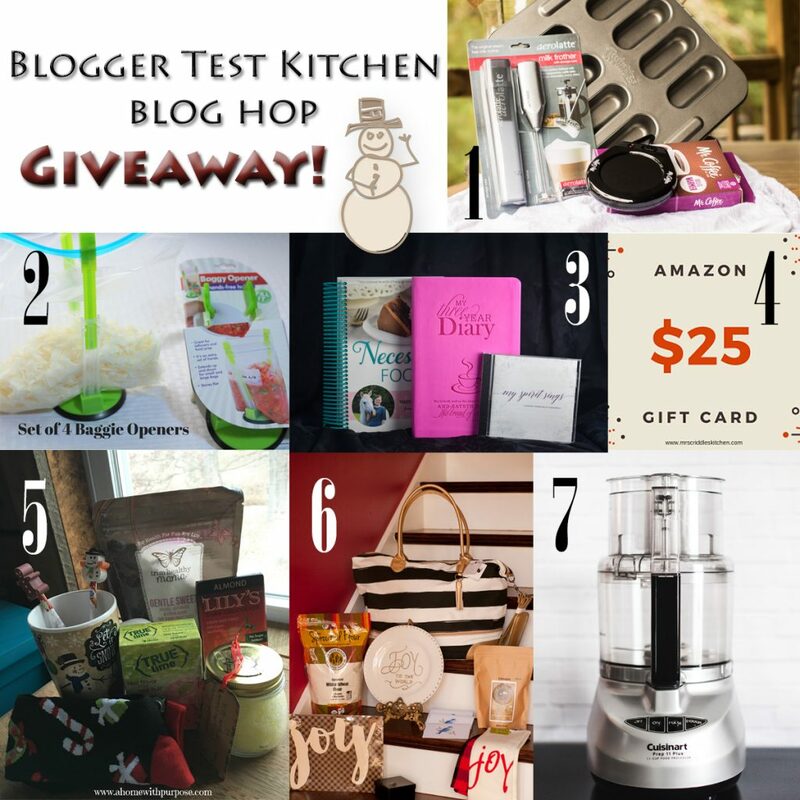 Every item is quite enticing and I’d be thrilled to win any of them! 🙂 Merry Christmas! Oh man, that BAG! And the coffee. What a delight that would be!! everything looks wonderful. Especially love your bag. thank you for the opportunity. The sprouted flour would be a great product to try. 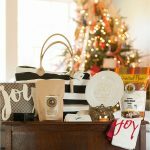 If I win, I’m looking forward to the sprouted flour, the joy plate, and the bag (though I don’t really NEED another bag as I WAS a Thirty-One consultant and have more bags than I ever sold, b/c I just “had” to have one of everything in each catalog…. addicted much, right?! LOL!)! This might be my second comment. Don’t think it went thru :). But I love all the items you are giving away! So much beauty. Love the hand-lettered plate, the coffee, the flour. Everything! The bag and the coffee. Love coffee! I think they all look like amazing things I would love to win, but right now, I’m a little obsessed with coffee… So probably the coffee. Thanks! It all looks so lovely! Thanks.for hosting this give-away! I just decided that my new Christmas decor theme is going to be JOY. And I love calligraphy. How perfect. I’m most excited about the bag! love this. joy to the world thru artistry. love it. I love the earrings, notecards, and weekender bag in your giveaway. I love that Petunia Bottoms Weekender Bag! I like the Joy plaque and the flower. I love the weekender bag. The weekend bag,the flour and the coffee! So sweet of you! I would love the flour! I love making your bread/rolls. Yum! I love the bag and the wooden JOY sign! Ilove the blue bird note cards. The Frother. It’s on my Christmas wish list. 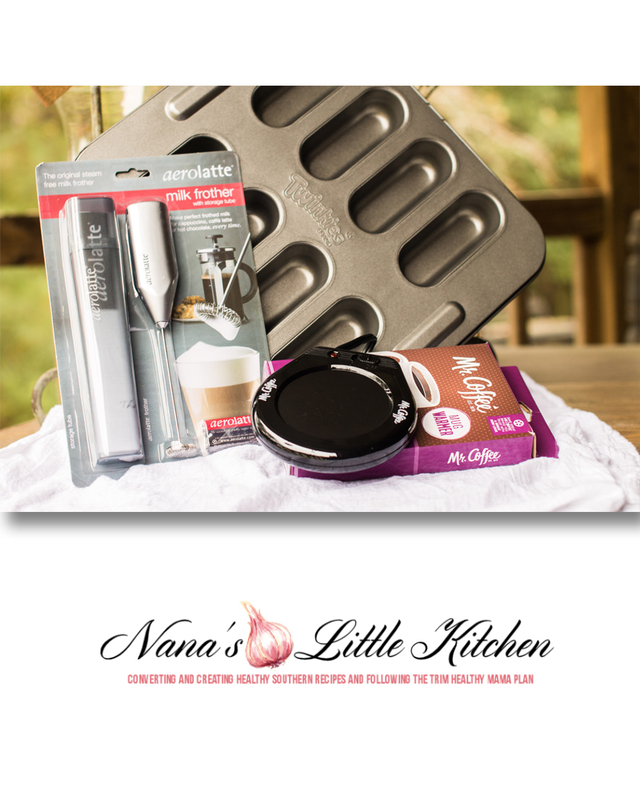 Be sure and visit http://www.nanaslittlekitchen.com to enter to win the milk frother! Teresia is going that one away on her blog! Food processor would be nice. The one I picked up second hand ended up missing a piece that is required to use one of the blades. The petunia bottoms bag and the personalized earrings! The sprouted flour, the bird notecards, the weekender bag and the darling earrings are my favorites! I love the weekender bag the most, but all of it’s great! The sprouted flour – we’ve been wanting to try it! Thanks to Kristen, my sister-in-law! I would love to make some homemade bread with the sprouted flour! I love finding things with my name that are so much more than just Christmas, but LIFE related! So many lovelies in one place! All of them ! Everything is just beautiful ! Probably the flour and bag! I love the weekender bag in your giveaway. Super cute!!! Ohhh, tough choice! I’d have to choose the coffee, since my husband and I are coffee addicts! I would be so appreciative of ANY of the give aways. Thank you all for the chance to win! Love all the items you are giving away. The sprouted flour! I’ve been wanting to try it ever since your post about it! What an amazing giveaway!! Hard to pick just one thing to be the most excited about, but I would love to try the coffee! JOY has always been one of my favorite words! There’s something so powerfully packed into that small little word! visited and loved your posts. learned something new about the sprouted flour. thanks and I love all of the giveaways. 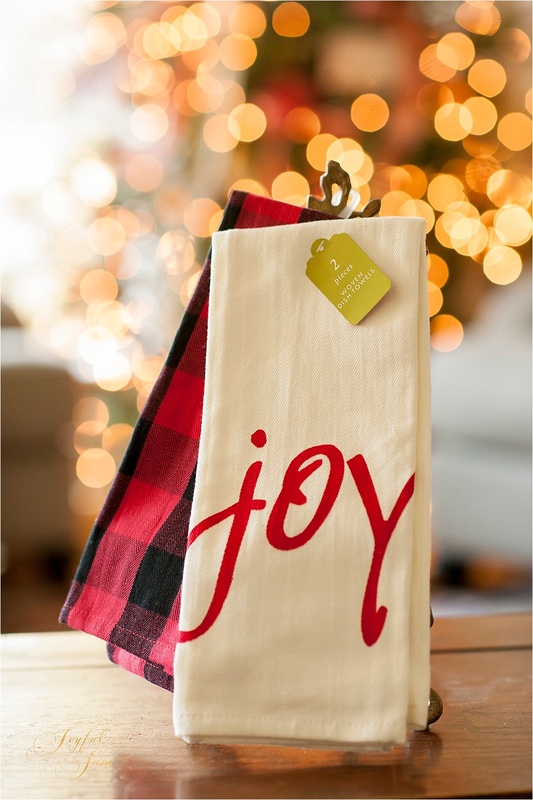 Joy items, towels and bag! Cuisinart would be the best. But all of them are absolutely desirable. Thank you all for putting this together. I’d be grateful for any of the items in this giveaway! The Joy sign, or maybe the bag! Love, Love the bag!!! Would make a perfect, unique bag for our new baby in May! They are all great but I really love the bag. I like the bag the most. Too many good ones to pick a favorite! Everything is lovely! I love the Joy things! I would definitely enjoy sharing the coffee with my hubby. Lovely items to win! The coffee and weekender bag are my favorite! I need more joy in my life and in my kitchen. The plate and towels catch my eye! The bluebird notecards are absolutely beautiful and my fav. Everything in your giveaway is beautiful! I will have to say the sprouted flour caught my eye. Thank you, I’m looking forward to following your blog. The coffee and the weekender bag! 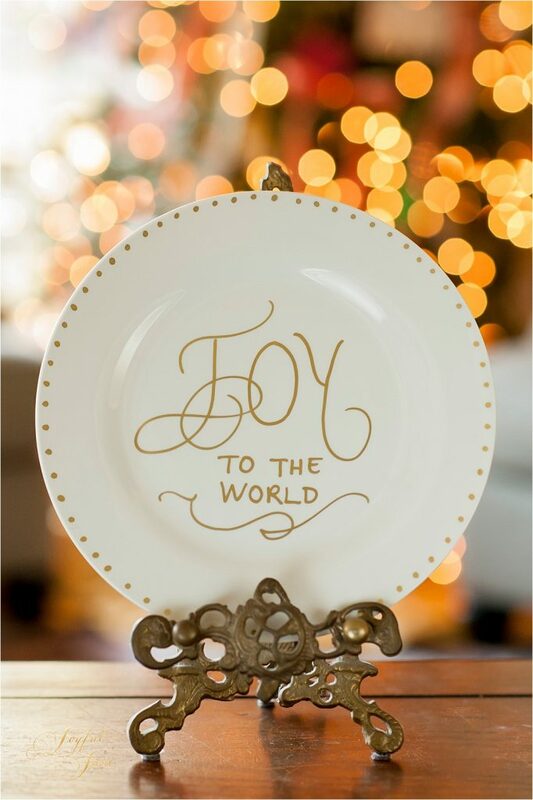 I really like the wooden Joy sign and the Joy to the World plate. All of the gifts are very nice. The bag and the sign. Thanks for doing this! I love the bag and the earrings are precious! All the items are fantastic!!!! Thank you for the giveaway! The spouted wheat flour and all the entertaining things. I have a new home, and we are entertaining so much. I need more cute things to use! Nice giveaway and thanks. The overnight bag, flour, and coffee sound great! 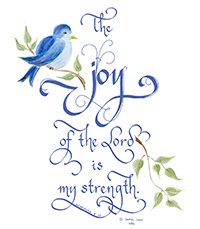 Anything that has JOY on it has my vote…HIS JOY is my strength! Thank you for the chance to win! Be blessed! I’m most excited about the bag. As a mom of 5 with two still in diapers, I can never have enough cute bags to carry around all the necessities. The blog hop is awesome… my pick would be the coffee, towels, handpainted notes, bag Everything is neat! I LOVE everything about this giveaway!! The weekender bag and wooden JOY sign caught my eye!! Thank you for the opportunity! I love the bag and everything else. All of it sounds fabulous. I think I’m most excited about the bag or flour. It all look wonderful, but I really love good coffee. Would love to win the sprouted grain flour, but I also love the bag! The bag caught my attention but when I read about the earrings I got excited. They are beautiful. Everything is gorgeous! I think the bag or the flour are my favorites. Everything looks gorgeous! I’d say the bag or the flour are my favorites. I love all the items, but the bag and coffee are my favorites. The bag & the coffee! Just found your blog. Love it!! 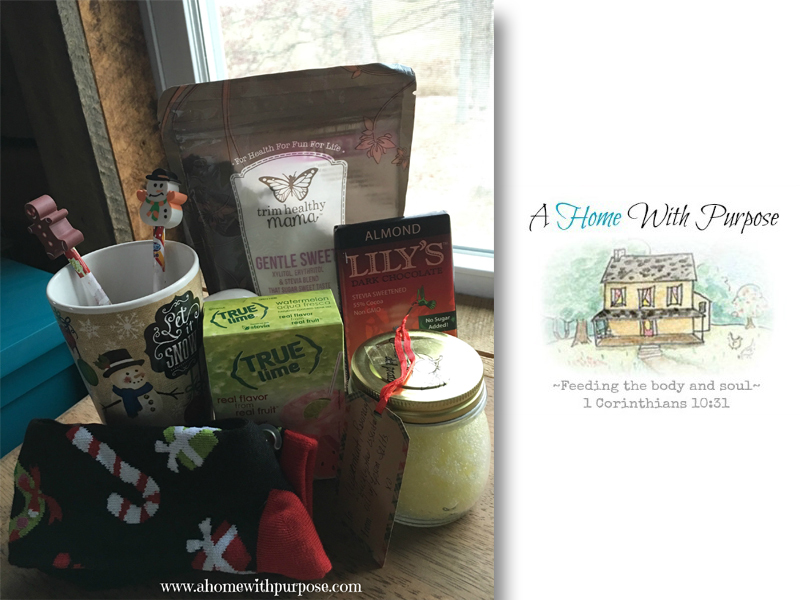 What wonderful items you are giving away as I love them all! If I had to only pick one I think it would be the Spouted Flour because ever since I’ve seen your posting on the Easy Fluffy Rolls I’ve been longing to try them. This is a CLASSY giveaway! I am a sucker for bags and that is a beautiful weekender bag! I love the bluebird notecards but am most excited about the sprouted flour. I haven’t been able to find it in my small town in Wyoming and have been wanting to make some of the recipes. The weekender bag is so chick. I’d love to own it! Everything is so unique! 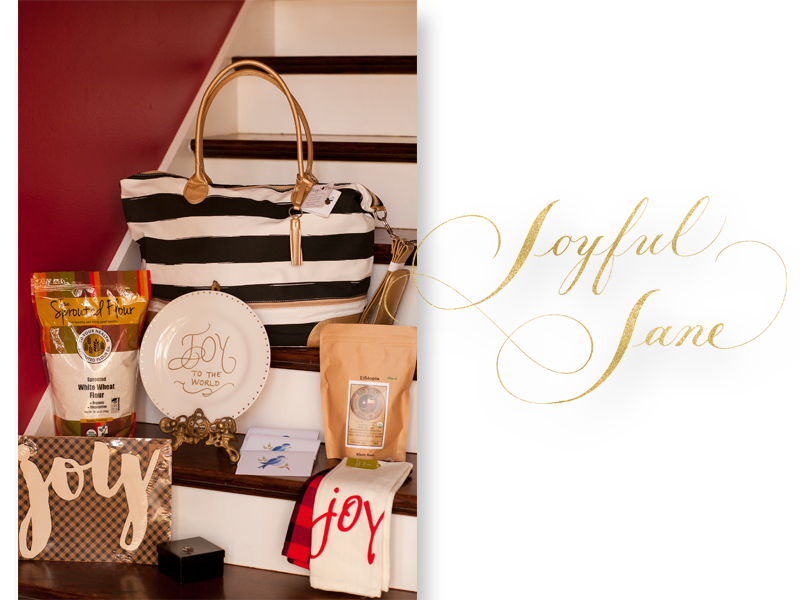 The note cards, weekender bag, Joy sign! Wow! Would love to win any of the beautiful gifts,. I love the tote. Amazing giveaway! the sprouted flour is what i would be most excited about. Love the new look of your blog, Kristen!! I think the sprouted flour would be my favourite thing!! I think my favorites would be the bag the blue bird cards and the hand towels. It’s hard to pick only one. They all look lovely. Everything is very lovely but I would say I’m interested to try the coffee from my adopted state of Texas! I’m most excited about all the gifts that say ” joy” on them! Wow!! Love all the items! The gorgeous bag or coffee – thank you for the opportunity! Blessings! Everything in this giveaway is just darling!!! I’m a sucker for beautiful stationary and good coffee, so Id love to sip on a cup of joe while sending those lovely notecards to friends and family! The coffee. The bag. The flour. 🙂 Truthfully – all of it is beautiful! The weekender bag caught my eye! I loved the cards too! The bag, and the coffee, really all of it 😊 This is a great giveaway, hard to choose just one. The sprouted wheat b/c it’s on my grocery list but I need to quit buying stuff! 🙂 I love JOY anything also.. Such a great reminder! 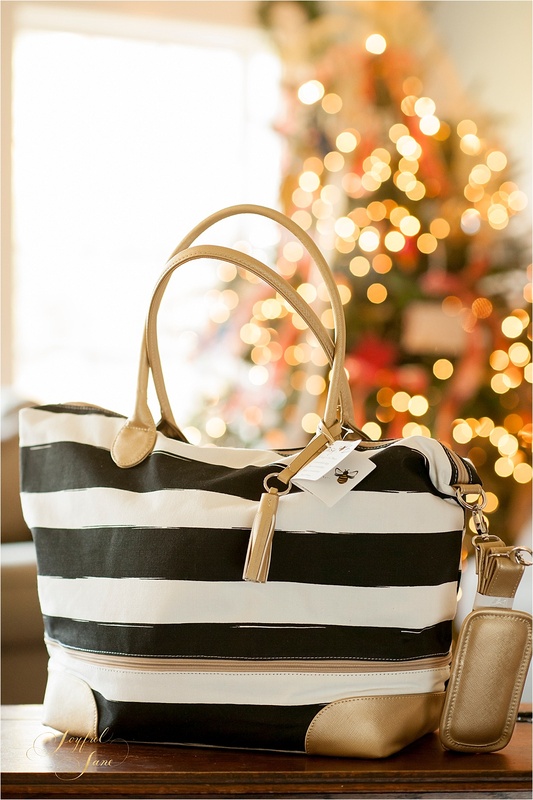 I just love that black and white striped bag! I love the weekender bag! The bird card is adorable as well! I love ALL of it. It is too hard for me to pick my favorite thing! All the items are lovely! Lovely Facebook page! I love the bag in the giveaway! I had written a fun and witty comment but the page froze lol. Suffice to say I’d love the sprouted wheat and the bag! 🙂 thank you!! Everything looks wonderful! You are a very talented lady. Sprouted flour, coffee, and all the rest! The bag! Love it all!